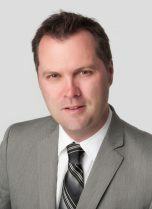 François is a Partner at Accuracy and leads the Canadian Practice. Since 2000, François has specialised in the fields of investigative and forensic accounting, disputes and business valuation. In particular, he has carried out several mandates related to fraud investigations, financial irregularities, valuation of financial losses, litigation assistance, insurance claims and business valuation. He has been acknowledged as an expert over 40 times before various courts. In 2018, François received the title of Fellow of the Ordre des comptables professionnels agréés du Québec. In 2008, he received the CA Emeritus Award from the Comité des CA de Québec, which recognises a chartered accountant who has excelled as an accounting professional and, in 2006, he received the Jeune CA Décideur Award from the Ordre des comptables agréés du Québec. François has also given several presentations related to his field of practice, and was an author and trainer for the continuing education programs of the Institute of Chartered Accountants of Quebec and the Collège des administrateurs de Sociétés. François speaks French and English. François has supervised and worked on cases concerning complex financial questions and has directed the teamwork of professionals’ teams assigned to carry out mandates entrusted to him. François has a extensive experience in assessment of financial loss and damage quantification, business valuation in litigation cases involving franchisors and franchisees. Further, he has provided his expert opinion in multiple mandates pertaining to the determination of an entity’s solvency. François is recognised among the leading expert witnesses worldwide by Who’s Who Legal in Forensics & Litigation Consulting. Co-author of the investigation report on the activities of a high profile financial fraud case (against Vincent Lacroix and Norbourg), which led the Autorité des marchés financiers to bring 51 charges against Vincent Lacroix. He testified against Vincent Lacroix for 19 days, who was later on found guilty of the 51 charges and was given a sentence of 12 years less a day. Loss quantification of a claim by several franchisees of an American global donut chain against their franchisor (11 M$ ruling by the Court of Appeal). For the Gouvernement du Québec, expert counter-analysis of a loss quantification in the Mont-Orford file, estimating the loss at $35 M. Out-of-court settlement for $13.5 M (publicly available information). François has been appointed by the ministère de la Justice du Québec as a forensic accounting expert in the context of The Voluntary Reimbursement Program Against Fraud and Fraudulent Tactics, Pursuant to Act 26. He has worked on several financial analysis cases for businesses experiencing financial difficulties (e.g. : Cover Industries). He also acted as an expert in loss quantification litigation’s cases related to sales price adjustment clause. Business valuation in the context of litigation between shareholders of a pharmaceutical company and review of the opposing party’s expert report. Business valuation of a tractor and truck parts business in a joint venture’s creation context. Speaker at the “Arbitrage et Contentieux” conference organized by Option finance in Paris (February 2017). Several times speaker at the “Norbourg, the History of a Fraud” conference organized by the Collège des administrateurs de sociétés, Université Laval (2009-2014). He was also a lecturer at Université du Québec à Rimouski, where he taught investigative and forensic accounting (2008-2010). Several times a speaker for the Institute of Internal Auditors, for the Risk Management for Financial Markets and the Association of Certified Fraud Examiners in litigation, forensic and investigative accounting and business valuation.